Whether you are able-bodied or one of the nearly 3.6 million wheelchair users living in the US, chances are you dread having to spend time cleaning house. Spring is a mere 2 months away, bringing with it one of the most dreaded occurrences of the year: spring cleaning. As daunting as an annual clean-up may be, it is not the only time of the year you need to concern yourself with housework. Certain tasks such as doing the washing, cleaning the kitchen and bathroom, and sweeping floors need to be done on a regular basis. Unfortunately, many of these tasks can pose a far larger challenge for someone in a wheelchair. Thankfully, there are ways, such as the following, that will lighten the burden of household chores substantially. Think of large electronic toothbrush designed for cleaning! 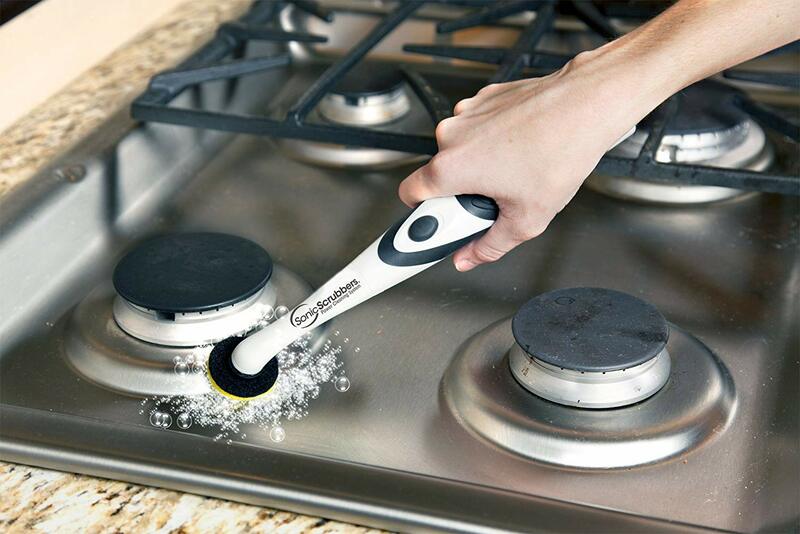 These oscillating scrubbers such as the Sonic Scrubber, are ideal for someone with limited hand function and comes with a variety of heads to perform tasks such as scrubbing tile grout, polishing appliances and getting in those annoying nooks and crannies with minimal effort. One of the more frustrating challenges facing a wheelchair user on a daily basis, is picking things up from the floor and other low surfaces. Unfortunately, this accounts for a large part of general house-cleaning duties. 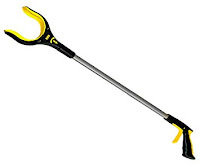 A simple grabbing tool may prove to be one of the best investments you have ever made as it virtually has countless uses. Not only will you be able to pick up magazines, shoes, toys, and other arbitrary things off the floor, but you can also use your grabber to take clothes out of the washer or dryer, and reach for your cleaning products that are packed away on higher shelves. 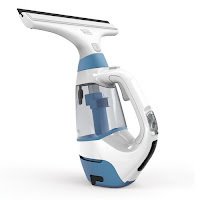 Also, don’t forget that there are a multitude of dust reachers on the mainstream market, to tackle those looming cobwebs overhead or to clean ceiling fans. While a dehumidifier won’t help you with your household chores, it may help limit the amount of cleaning that needs to be done on a regular basis. 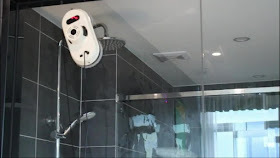 Not only do these nifty gadgets help eliminate dust inside your home but it also decreases the moisture in the room during the humid months which can significantly reduce the prevalence of mold and bacteria, especially in the bathroom. By effectively impeding mold growth you will not cut your cleaning time significantly but also protect yourself and your family from a number of related medical conditions including respiratory disorders such as chronic coughing, wheezing and exasperated asthma symptoms. Equally important are air purifiers found at a variety of price points, can be ran year round, removing allergens, dust particles, odor and germs. Calling in the professionals once a year to help with your spring-cleaning efforts may be a good idea though you may want (and be able) to do your day-to-day cleaning yourself. Although going down on your hands and knees to scrub a floor is definitely not an option (nor does anyone want to! 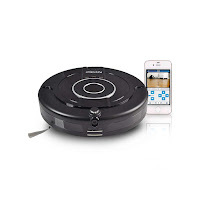 ), there are a number of other methods that can be employed to keep your floor surfaces clean. Making use of a lightweight cordless vacuum cleaner is a good way to rid your floors and carpets of dust and other small debris while a fully-automated robotic vacuum/mopper can take care of the task at hand while you focus your efforts elsewhere. Dirty windows are not only frustrating to look at but are even more frustrating to clean especially when they aren’t within reach. Well, believe it or not, there are now window cleaning robots to the rescue! Controlled by an app on your smartphone or a remote control, these cleaners have suction cups that enable them to climb up the window vertically, covering the entire surface. For those of you that prefer to hands-on clean, there is also a cordless squeegee vac that powers through dirt on windows, cars, shower walls etc. Cleaning house is one of those chores that, unfortunately, escape no one. Thankfully, it does not have to be complete torture as long as you make use of the various resources that can make many of the chores a lot easier. About the Author: Lucy Lawrence, whose sister uses a wheelchair for mobility, is a professional freelance writer with many years of experience. While she writes about a wide variety of sectors and topics, she feels particularly strongly about the needs of those who live their lives in difficult or challenging circumstances due to illness and injury.